Wow. I noticed a lot of interest in my post from last fall of my Cartier cord bracelet, so I thought I should pass on this link to Fashion Week Daily. This is the third year for the cord bracelets and with that comes some changes. The main difference is price! 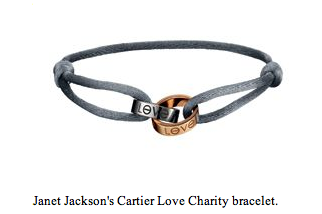 This year the bracelet is $995, but it does come with two rings and $200 goes to charity. The color of the cord determines what charity the money goes to, which can make it hard if you feel strongly about a cause but don’t like the color. Anyway, eight musicians were chosen to be ambassadors this year and on June 19th, you can visit http://www.love.cartier.com and download the ambassadors’ favorite love songs. Fashion Week Daily explains this all much better than me, so make sure you check out their article. 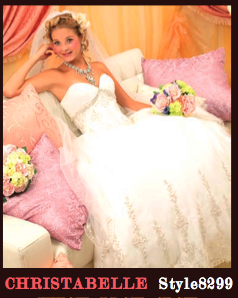 My good friend use to work for Winnie Couture, a bridal dress company, and one day was given the task of coming up with names for the dresses. They didn’t want simple, common names, so from our names, Christine named some dresses after us! She said she didn’t get to pick which particular dress would be named after me, but I like the Jenibelle style and like to think of myself as a muse. These dresses are still available, so visit winniecouture.com for locations and information if you love them! It seems like everyone I know (and that I like) loves the television show The Office. I loved it even more when I found out that some of the writers are actually some of the stars. Kelly Kapoor, played by writer/actress Mindy Kaling, is one of the only characters that even cares about fashion. So, I thought it was so cute to find out that Mindy has a blog called Things I’ve Bought that I Love. She hasn’t posted in over a month, but I loved reading through past posts-they are all so funny and I think a lot of girls can relate. Check it out at www.thingsiboughtthatilove.com. I first fell in love with iWood’s sunglasses about two years ago. On my first attempt of blogging, I featured the sunglasses in a post. My first comment ever was from someone who wrote that they were perfect if “you want to get caught in a giant butterfly net”. Luckily I ignored that comment and my boyfriend bought me a pair for my birthday that year. I still wear them everyday because I think that they are so cool that they don’t need a label. In this world where so called luxury designers will put their name on everything, it is nice that these sunglasses just focus on the shapes and materials. To me they are a luxury-eco design, individually made in the US, materials from Italy, hypoallergenic, and 100% UVA/UVB protection. Get yours at www.iwooodecodesign.com. Look at this cute shoe that the Today Show featured this morning. From SWIMS, a company located in Norway, these shoes are meant to be worn over your shoes if you are wearing flats on a rainy day. The shoes have so many great features, the coolest one being that it polishes your shoes while you wear them! There are a few other colors, but I love this sunny yellow, which would look great paired with navy blue clothes. I hated when it would rain in NYC (it is just plain gross), but this shoe gives you a cuter option than big old boots. Get yours at www.swimsstore.com. 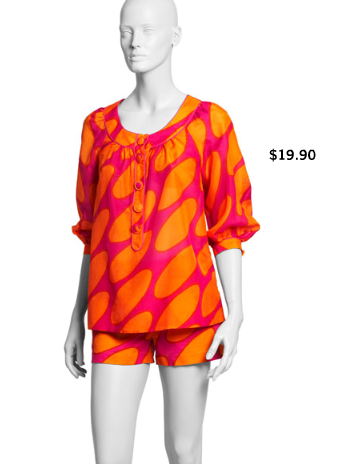 H&M + Marimekko = Awesome! 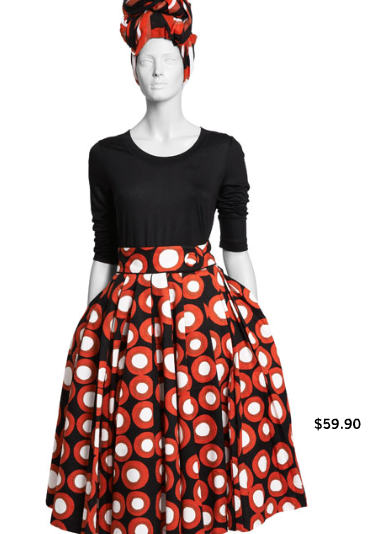 Marimekko has long (since 1951) been recognized for their amazing prints. I’ve blogged about their fabrics before, but this is just so exciting. H&M has collaborated with Marimekko to produce a spring collection that features some of Marimekko’s most famous fabric prints from the 60s. The best part is the prices. 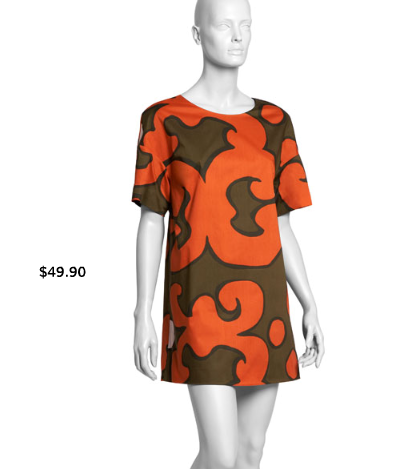 Several of the dresses from H&M are around $50, which is great because Marimekko dresses (see below) are usually around $200. I plan on getting some of the pieces and keeping them forever because of their classic look. The queen of classic taste, Jacquelin Kennedy, is responsible for America’s love with the prints (I learn everyday just how much of an icon she is). Follow this link to see an interesting video of the collaboration. Then, get thee to H&M and rejoice! Some how the people over at the Live With Regis and Kelly show read my mind. I have been obsessed with Kelly’s wardrobe for four years (sometimes tuning in just to see her outfit and drawing a sketch of it), and now their website has a feature called “Kelly’s Fashion Finder“. Everyday it lists the brands that she is wearing and has a video of Kelly showing off her look. If you are like me and adore Kelly’s style, this is a great way to imitate her wardrobe. My favorite outfit so far is the one from yesterday’s show. Click on the video in the post below to see it for yourself. It is things like this that make me love fashion.